Thank you for helping our ceremony come to life and be exactly what we wanted. When I was planning my wedding, planning my ceremony was my favorite part. Otherwise, I was so overwhelmed and stressed the muscles in my back were chronically tense. When my husband and I planned our ceremony we had fun, we got creative, and we were a loving team. Our ceremony became a way to figure out how two different backgrounds truly blend into one entity. Also, planning the ceremony illuminated the hard work we had put into creating a conscious relationship and it was exciting to celebrate that. During the wedding itself, the ceremony was still my favorite part. It was the only time during my wedding when I felt completely at peace, present, and connected. It took me a long time to understand why preparations for my wedding were so stressful, and why my wedding day was not all I hoped it would be. When I finally understood it, my relief was so immense, and I knew it was something I needed to share. Then, when it was time for me to make a career change, I attended a number of weddings and became inspired. At each wedding, I saw the unique spirit of the couple shining through. I saw the potential for marital love to change not just two people, but to affect the world. I watched the Officiant and felt called for that role. After years of being a therapist, creating sacred space, creating therapeutic rituals, and running groups - it was an easy leap. Plus, my background in performing arts meant I could bring an element of creativity to the role that would mean my ceremonies would be engaging, interesting, uplifting, and appeal to those who want to think outside the box. It literally thrills me that I get to bring my passions for celebrating love, conscious relationship, sacred ritual and creativity into one package and call it work. I bring all of myself to this role, and I am here to serve. It’s my joy and my privilege. Jennifer Paige Hendler, LCSW is a licensed clinical social worker and Minister. Jennifer is a certified Gestalt Therapist and Bach Flower Remedy Practitioner in addition to being trained in energy psychology, psychodynamic, family systems, and cognitive-behavioral modalities. 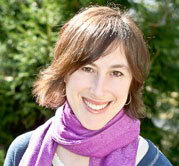 She is a lifelong student of holistic health and brings a holistic approach to her work. Get more info about Jen's psychotherapy practice here.